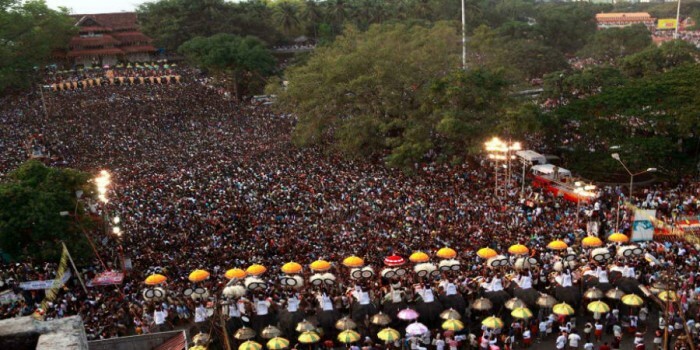 The story behind the Thrissur Pooram Festival is as awesome as the spectacle!! The Thrissur Pooram celebration in the state of Kerala is a spectacle that has amazed and delighted people for the past three centuries. Lakhs of people take part and the festival always has a complement of enthusiastic foreign tourists. The firecrackers, the special delicacies, the decorations and most importantly the majestic elephants are all a lifetime experience. This festival has been an inspiration for so many other festivals within Kerala and outside, revels that have come to be called ‘mini’ Thrissur Poorams. What is the story behind this extravaganza? Read on! The only major festival celebrated in God’s Own Country before the Thrissur Pooram celebration was the Arattupuzha festival, held ten kilometers to the south of Thrissur. It was a one day festival in which most Thrissur temples took part. One day, due to the heavy rains, many couldn’t make it to the Arattapuzha festival on time. Because they arrived late, they weren’t allowed into the temple premises. 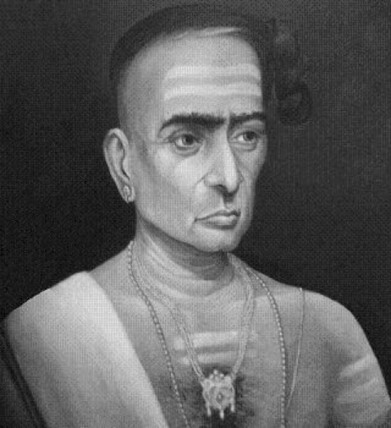 The embarrassed temple officials informed Raja Rama Varma also known as Sakthan Thampuran about what had happened. The Thampuran immediately planned another festival, more extravagant and more rewarding than the first to make up for the eviction. This marked the beginning of the Thrissur Pooram festival! 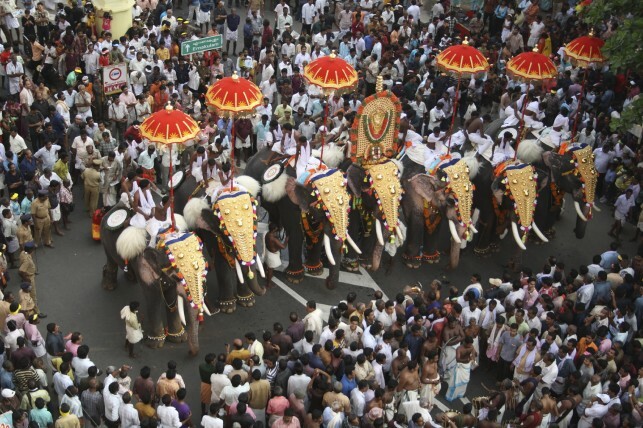 The Thrissur Puram is a seven day festival starting with the Kodiyettam or flag hoisting ceremony. This is followed, on the fourth day, by the sample Vedikettu or sample firecrackers ceremony. 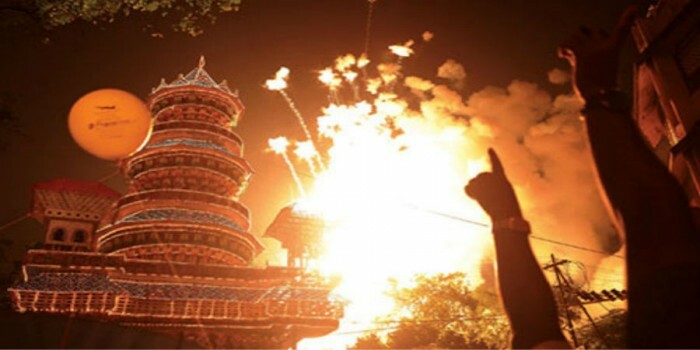 Many colorful displays of firecrackers are the norm and the atmosphere is almost frenzied. Everybody prepares excitedly for the main day. The main Pooram (on the sixth day) happens every year on the day when the ‘Pooram’ star rises in the sky in the Malayalam month of Medam. The Raja and the priests of the two other important local temples, the Paramekkavu Bagavathi Temple and the Thiruvambadi Sri Krishna Temple, pay obeisance to Shiva, the presiding deity of the Vadakkunnathan Temple. To this day the priests of the other two temples and their processions stand opposite each other and celebrate Lord Shiva whose idol is placed in the center. These two temples compete with and try to outwit each other in the procession. They bring fifteen elephants, each decorated to dazzle.The accoutrements are added with great attention to detail. This is not to be missed. The spectators too catch the fever of the tournament-like ambience. Both sides alternately exchange colorful umbrellas and fans in perfect rhythm and every time this happens there are cheers from the onlookers. All this, while the nadaswarams and drums beat away, enhancing the effect of the spectacle. On the seventh day there is again a fantastic display of firework at the Swaraj ground, a fitting finale to the almost electric revels of the preceding days. All these details were planned by the Raja himself to give the common man the vision of his life. He wanted everyone to be a part of this festival and to this day that dream is being fulfilled. People from all over the country and all over the world come to enjoy the traditional Malayalee hospitality and to get a taste of the cultural capital of Kerala. Make your plans now and get bedazzled!